Finally, the dream-like modernist novel "Happy Moscow" from one of the greatest Soviet writers is available again in English and the translation, by Robert and Elizabeth Chandler and others, has been immediately longlisted for the Best Translated Book Award 2013. Moscow Chestnova, an orphaned girl, born a few years before the Russian revolution, is named after the city she lives in. Her story strangely mirrors the triumphs and terrors of the new communism. A powerfully alive and beautiful young woman, she marries too young so that “her heart, which had sought heroism, began to love just one sly man…” Leaving him, she tells a stranger that she loves “the wind in the air” and he advises her to enroll in the school of aeronautics; she learns to fly, but plummets to earth after accidentally setting fire to her parachute. Following her “wandering” instincts, she moves through a series of lovers, loses a leg while helping to build the Moscow metro, and finally disappears from her own tale. Part of Platonov’s power as a writer lies in his combination of contrasting registers, the metaphysical and the scatological, scientific and romantic. The mechanical engineer, Semyon Sartorius, loves the young Moscow so profoundly that “he could have looked at waste products from her with extreme curiosity.” Philosophical meditations on the “mystery of existence” segue into trade union committees or construction-workers’ canteens. The overall effect is more like a dream than a novel; plot and character are secondary to the hallucinatory progress of vivid, revelatory scenes. There is a strong sense in the earlier part of the novel that Platonov wants to believe in the Soviet ideal. The energy with which his doctors and aeronauts pursue their utopian goals is matched only by the desolate depictions of cityscapes, like the Krestov market towards the end of the book, “full of trading beggars and secret bourgeois.” The bazaar is a starving mayhem of pitifully recycled remnants of the past, desperate thieves and dead men’s clothes: a bread seller attacks “a weak man wearing a soldier’s greatcoat from the old days,” driving him into a pool of urine and lashing him across the face with a rag. Chandler and his team have produced a typically authoritative book, including – along with the revised translation – a play, an essay and short stories, illuminating the same characters and themes. The detailed notes quote Platonov’s 1936 jottings about the novel, in which he wrote “the plot mustn’t be over at the end”. 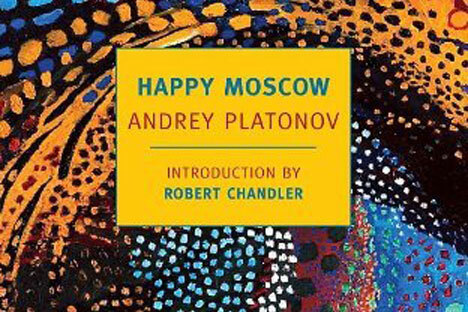 Platonov never officially finished “Happy Moscow”, but the brilliantly disturbing scenes he has left are complete in their incompletion. This novel that he worked on for years, not published until 1991, shows the skill and originality of one of the greatest Soviet writers.